Mosaic on paisley. 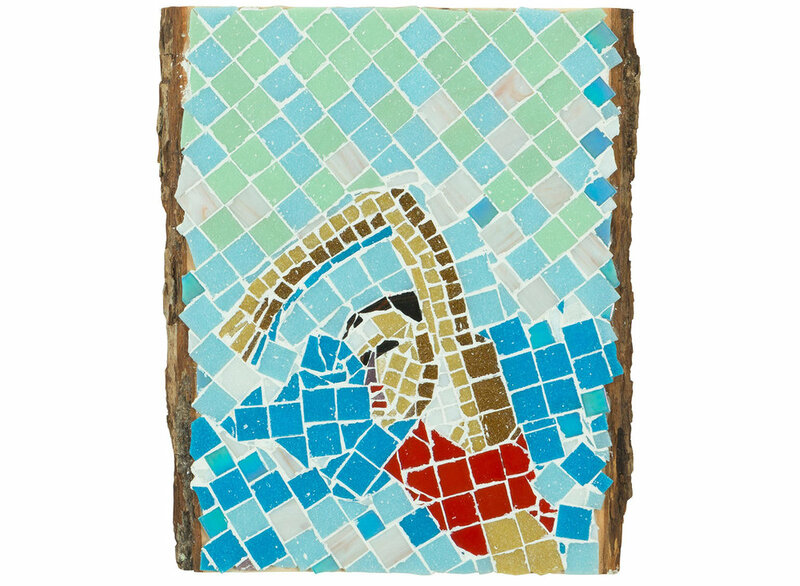 16" x 11"
Mosaic on board, 11 inches x 12.5"
Mosaic on board, 14" x 10"
Mosaic and fabric, 12" x 24"
Mosaic on board, 13" x 13"
Escape from the Castle, 2016. 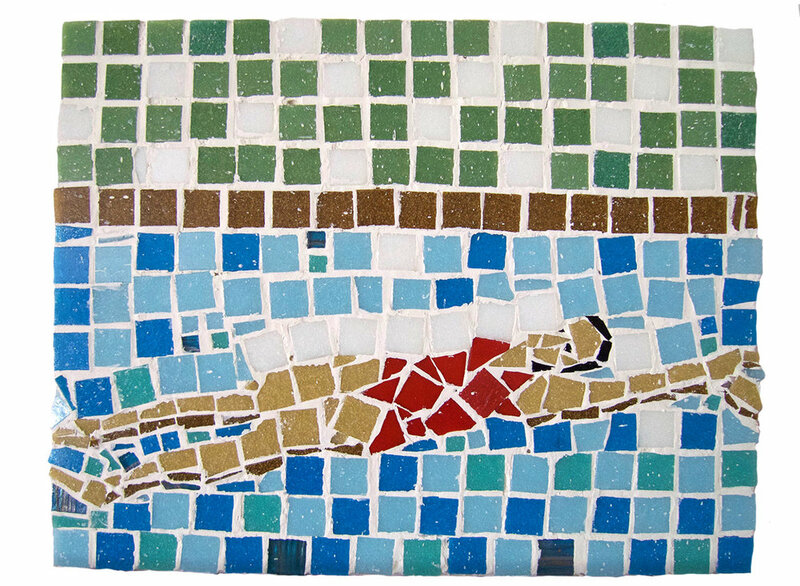 Mosaic, fabric, paint and wood, 18" x 24"
Mosaic and Colon Figure, 36" x 16"
Breaststroke over the Temple of Athena, 2016. 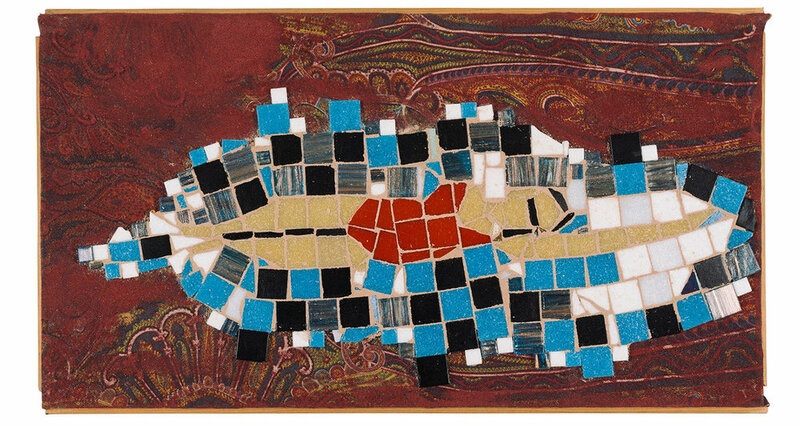 Mosaic, paint & fabric, 24.5" x 17"
Mosaic, paint and wood, 34" x 11.5"
Mosaic, wood and paint, 23.5" x 13.5"
Renting at the Italianate Villa, 2016. 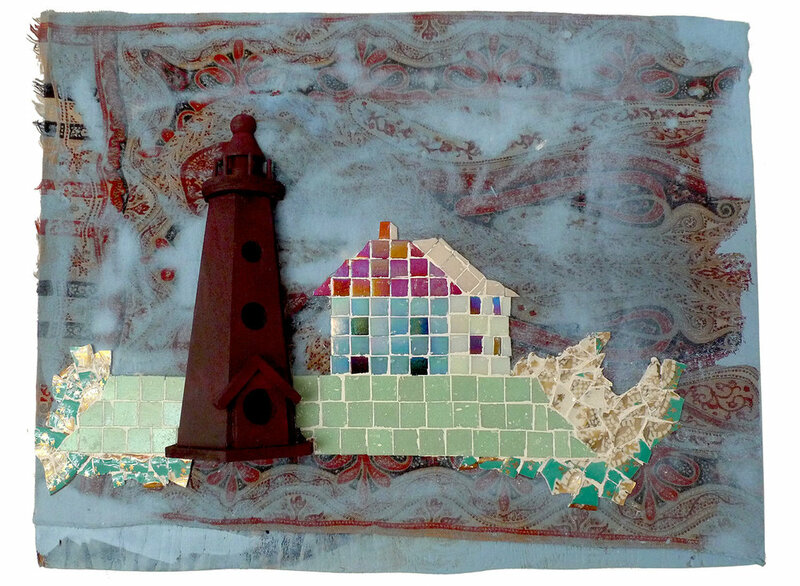 Mosaic, paint and Colon figure, 11" x 17.5"
Mosaic and Pittsburgh paint and Colon figure, 8" x 12"
Limerick Island, Rhode Island, 2016. 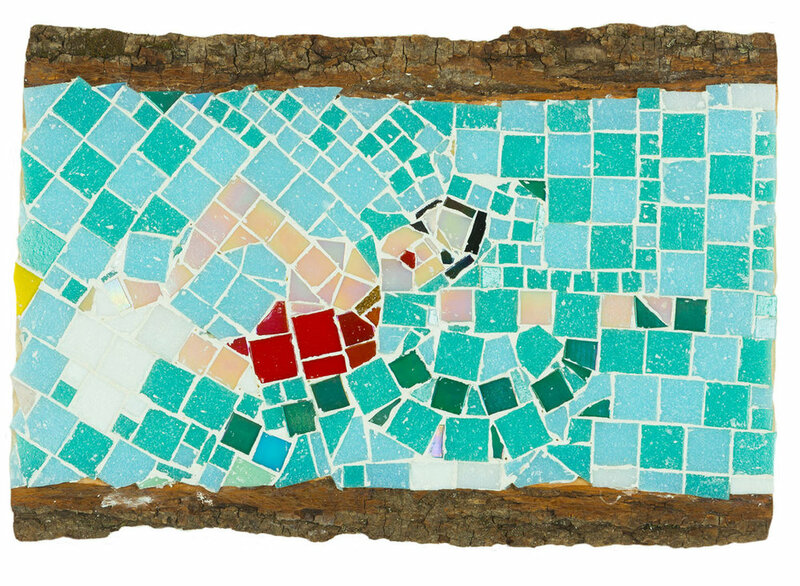 Mosaic, wood and Etro scarf, 22.5" x 1.5"
Mosaic, fabric, wood and paint, 15.5" x 27"
Mosaic, Pittsburgh paint and twigs, 11" x 11" x 3"
Mosaic and paint on beach wood, 11" x 14" x 3"
Chick-a-Dees on a Sleeve, 2016. Mosaic on fabric, 9" x 12"
Mosaic with fabric. 8" x 3"
Mosaic and paisley on wood, 9" x 2"